Kings Road has a plan... A Travel Plan! 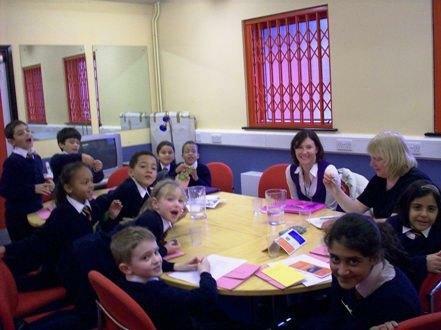 Sophie Armstrong, Trafford Travel Plan Coordinator, attended one of our School Council Meetings, on Monday 17th November 2008. We are drawing up a Travel Plan to try to ensure that everyone can travel to King’s Road safely. This includes children, staff, parents and other visitors. As you probably know King’s Road gets very congested before and after school with cars and other vehicles, so our aim is to reduce the traffic impact of our school on the local community and the wider environment. Sophie is helping us to prepare an action plan which we hope will entitle us to a Government Grant towards implementing our school Travel Plan.